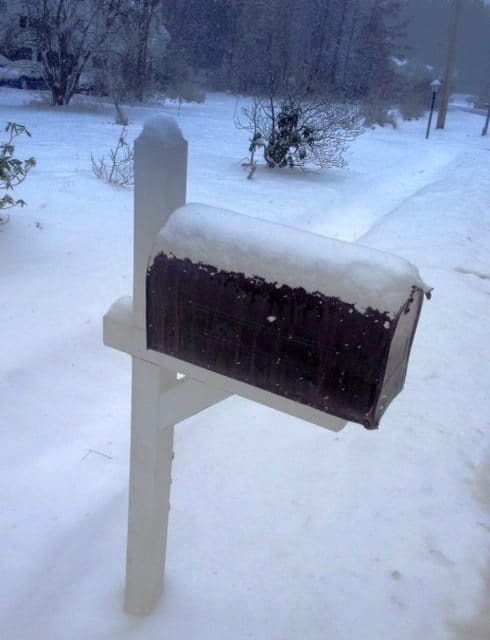 Happy Holidays to everyone from Crowdfund Insider. We are in the final days of 2014 and I can sense things are starting to slow down as people gather to celebrate family and friends, reflect upon the months past and plan the future of the coming year. We Crowdfund Insider we continue to recognize that crowdfunding has become a powerful catalyst to fund new ideas and start new companies. Creativity and business go hand in hand and small enterprise is the engine that powers most economies today. issue is the fact I cannot purchase these garments now. New Basics is leading their product line with men’s and women’s sweatpants, hoodies and tees. The hoodie has a hidden pocket that is incredibly practical. I don’t know about you but I am a quality fanatic. I will pay more for something if I know it is going to last. Having recently walked the streets of one of the most fashionable districts in the world – I came away largely disappointed by the overly stylized, and pricey offerings. Fashion companies like New Basics are the future. So F*ck fast fashion and support this campaign on Kickstarter now. side and walk with the Android crowd. So how tough is this tech? Fully operational from -4º to 131º F (ever have a phone quit because of extreme temperatures? I have). Fully submersible (only 6.5 ft though), no worries when dropped and comes with a super long battery (40 hours of talk time / 1000 hours of standby). My only question: Does it float? Crowdfunding on Indiegogo and cruising past its $150,000 goal. radiation but once you think about it – it does make sense. So if you have a small space that needs some additional warmth, and want to save some money on the electricity sucking space heater, Egloo may be just what you need. Crowdfunding on Indiegogo and well past its goal having raised over $59,000. Premium Sweats and Tees. We’ve reinvented the classics with modern design. We think quality matters and that clothes should be built to last. We manufacture in America using premium fabrics and trims. We’re on Kickstarter to fund the first production run of NEW BASICS. This involves knitting our own 100% cotton french terry and jersey fabric and manufacturing the line locally. Our goal is simple – make the best basics in the world. 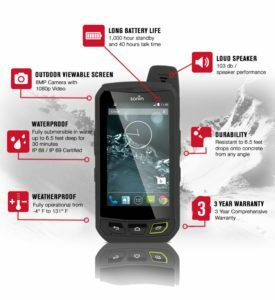 The world’s most rugged, Android, LTE, smartphone – UNLOCKED and built for all of life’s adventures. 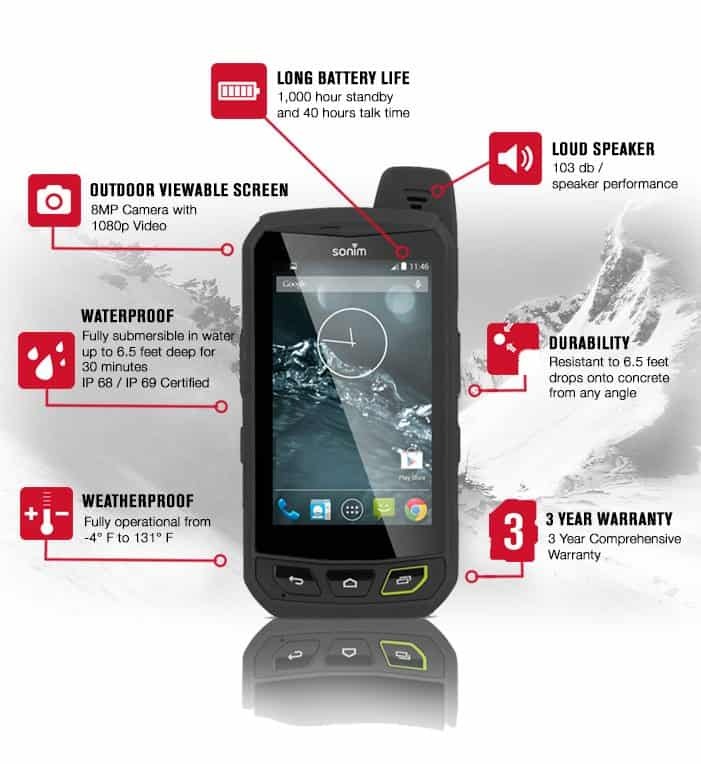 The Sonim XP7 Extreme is an UNLOCKED virtually indestructible Android 4.4 KitKat LTE ultra rugged Smartphone. It was built for extreme use and to handle extreme conditions. For over nine years, we at Sonim Technologies have been making the world’s most rugged and durable mobile phones for first responders, construction workers and the military. With our first Android LTE Smartphone, Sonim is looking for active sports consumers to be “Sonim Explorers” and come along with us to make Sonim smartphones part of an active lifestyle. Egloo is conceived for contrasting continuous waste of electricity used for warming domestic environment, offering, as a option, a candle-powered way that provides a cheaper and more ecological energy, taking advantage of features of terracotta that stores the heat and slowly and gradually releases it by radiation, even after it blows out. 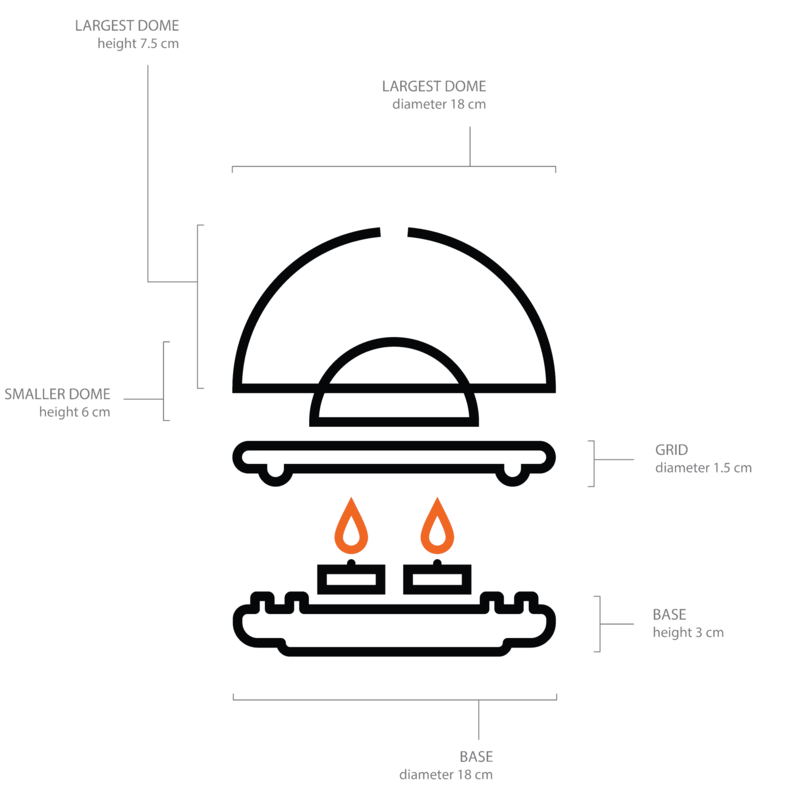 There is a metal grill placed on the base, serving as a support for the domes. It makes a space to let the air in, necessary for the combustion of the candles. 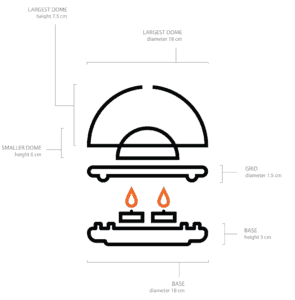 For the well-functioning of the Egloo only four candles are needed. With an average duration of five hours they are enough to warm up a 20mq environment. The thinner dome, placed centrally on the base, stores a high rate of heat, that is conveyed to the external dome; the dome’s air intake facilitate the outgoing of the warm air stored between the covers, allowing thermal exchange with the environment. This entry was posted in Featured Headlines, Offerings, Uncategorized and tagged egloo, fashion, hardware, indiegogo, italy, kickstarter, new basics, sonim xp7, technology. Bookmark the permalink.